What makes these 14 unique dog breeds so unusual? To answer that we should define "unique". Unique, as the dictionary tells us is "Being the only one of a kind: Unlike anything else." All dogs are unique and anyone who has ever owned a dog or two knows that all too well. Even closely related dogs, dogs from the same dog breed, or even two similar breeds will never be the same. Own a pack of 15 dachshunds and you will have 15 truly unique personalities even though all be blood relatives. Dogs are just like people in this regard. 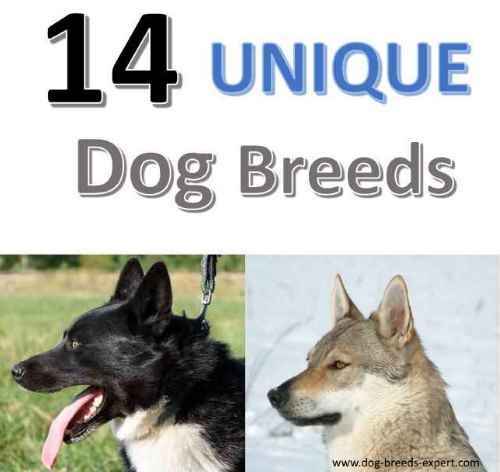 Most of these unique dog breeds have something about them that sets them apart from the norm. Whether it is their appearance, a special ability, or a quirk of nature, these breeds are unique if not rare and are likely dogs you may never have heard of. 2. The First Dog Bred in the U.S.
14. Is it a Wolf, is it a Dog, no, it’s a Wolfdog. So the Catalburun with its split nose is not entirely unique, but only three breeds in the entire world show this trait including the Pachon Navarro and Andean Tiger-hound. They are native to Turkey and are nearly unheard of outside of the country. This special nose is likely a genetic mutation that has been passed down through close interbreeding practices. The thought was that two noses would be better than one when it comes to hunting ability. Is this true? I couldn’t find any scientific studies that have been done on these dogs, so much of this is hearsay. Whatever you believe, you have to admit, this is a unique trait in the dog world. First Dog Bred in the U.S.? Maybe. There is one theory that suggests that these dogs descended from "war dogs" brought to Louisiana in the 16th century by Hernando de Soto. Any dogs left behind by the explorers interbred by the natives’ domestic dogs. It is equally possible that these dogs developed in the 1800s when French settlers arrived in Louisiana with their Beauceron dogs and bred with local dogs. You be the judge. 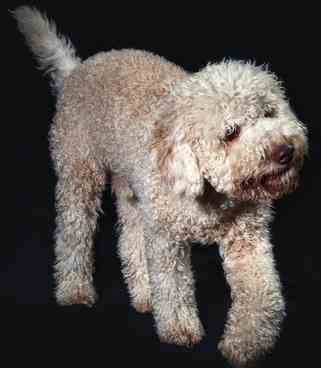 Sometimes called the “Stone Age dog” this breed is probably one of the most primitive breeds in the world. They may be older than the dingo and most are still in the wild. 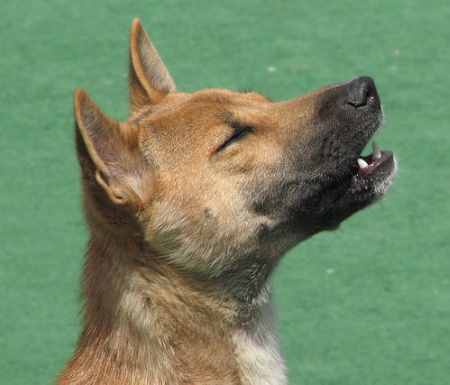 Many things make this breed unusual, but their strange vocalization is rightly unique in the canine world. Their sound is similar to a howl, and if put together in a pack, the sounds that each dog makes can be different, almost harmonious. They are still considered to be wild animals and are not recommended for family pets. As the national treasure of Finland, these dogs are known for their ability to hunt aggressive game such as bears, moose, and wild boar. 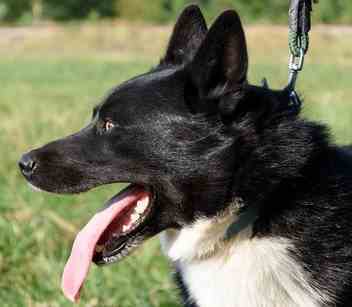 Today, the Karelian Bear Dogs have been used for bear control at in Yosemite and Glacier National Parks in the U.S. and with Washington State Department of Fish and Wildlife. Here is a great example of a dog with an ancient ability still being used in the 21st century for the same job. That in itself might qualify this dog to be on our unique dog breeds list. They have never caught on as being a good companion dog because of the potential for aggression and their territorial tendencies. This would not be a good choice for a novice dog owner. Perhaps a breed in its infancy, the Cambodian Razorback is little known outside its home in Cambodia. There are other ridgeback dogs including the Rhodesian Ridgeback from Africa and the Thai Ridgeback, but this one’s back ridge is most pronounced. Being developed by the Berger family, they received their name from the breeder because locals didn’t have a name for them. They are friendly and good-natured with their family, but protective and territorial when it comes to strangers. They can be loving, but are not recommended for first-time owners. March may come in like a lion and out like a lamb, this lamb-ish animal is a dog through and through. 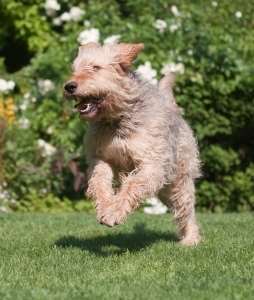 First bred to kill rats, badgers, fox, and even otters in nineteenth-century England, this is one of the fastest terriers. The curly coat was perfect for keeping the dog comfortable and protected from the weather while they chased their prey. What a surprise when owners found out that this amazing hair could be bathed and brushed and trimmed into something resembling a lamb. 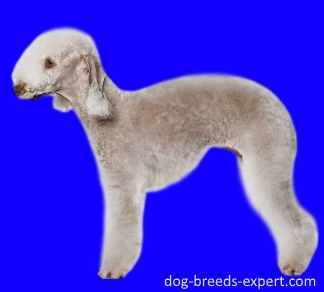 Today, the Bedlington Terrier is an loyal affectionate companion, They can also double as a watchdog and do well with children. As unique dog breeds go, this one can honestly say that it is the only one that looks like a baby sheep. He may look like a mop, but under all those dreadlocks is a dog. The Rastafarian-style coat hangs in long mats, called cords, which are created when a curly undercoat gets trapped by a rougher outer coat. The cords continue to grow as the dog grows and can reach and then drag on the grown. This coat once protected the Komondor from predators while keeping him dry and warm. This breed is not the only one with dreadlocks, the Bergamasco also has an interesting coat. 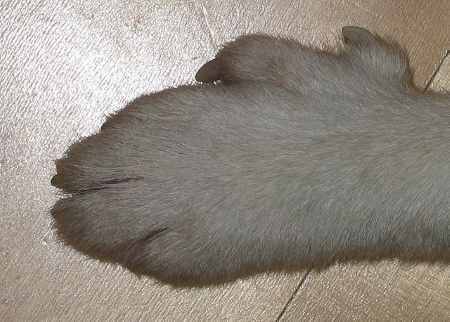 Here is a unique dog breed, not only the only breed that has six toes but perhaps the world’s only double-jointed canine. He can bend his head backward so the top of his head touches his back. Don’t try to train your dog to do this trick. 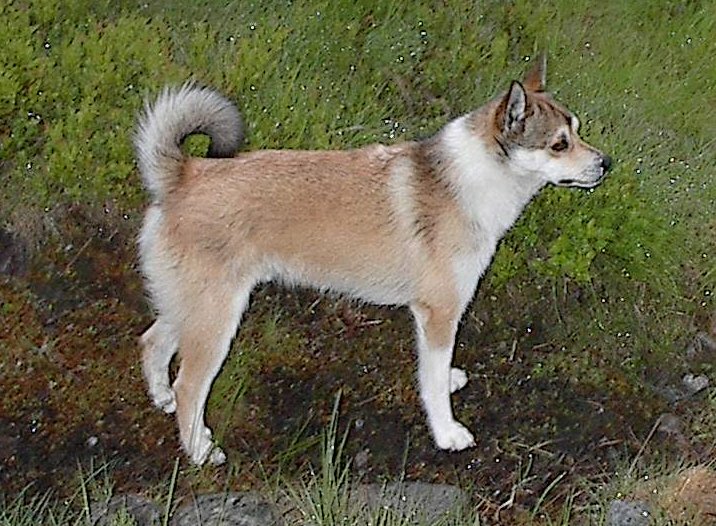 The Lunderhund was once bred to catch puffins off the sharp rocky cliffs near Norway’s Lofoten Island. He needed the extra toes to maneuver on the slippery rocks and the additional flexibility to squeeze in and out of very curvy places. 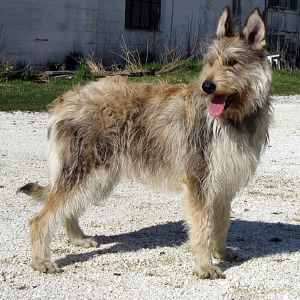 This charmingly mangy looking dog may look like a mutt, but in fact, the Berger Picard claims a French heritage as noble as the next. First bred as sheepdogs, they almost disappeared after the ravages of World War II. Luckily enough breed fanciers were able to re-establish their numbers in France and soon the world took a notice of these cute dogs. They are quiet, loyal and athletic and with a clownish side, they make an excellent companion. Those that have seen the movie, Because of Winn-Dixie, know that the dog used in this film was a Berger Picard. 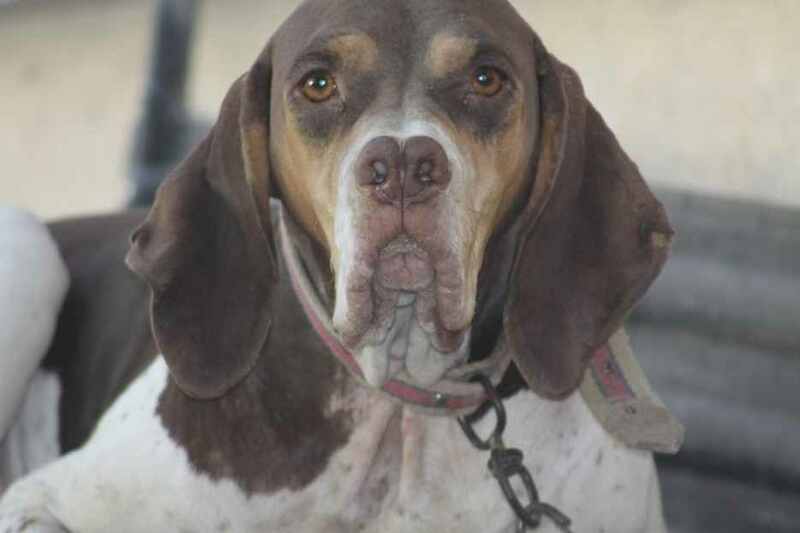 This is an odd member of the hound group first developed to hunt otters in England, even though the breed may have originated in France because it closely resembles the French Vendeen Hound. Their history dates back to 1212 when King John kept a pack of Otterhounds to search out otters who were depleting the fish in local streams. 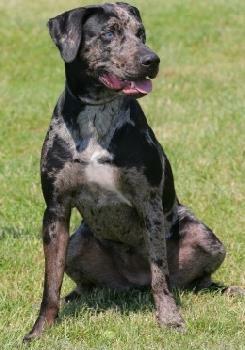 Today he does well with other dogs, loves to hunt and swim that can make a quiet companion. They do well with children but may need extra time when training. Here is a very sweet ordinary looking dog with an unusual occupation. They have an inborn instinct to hunt swim and retrieve making them an excellent water and hunting dog, but early on, people found that they could also train them to look for underground tubers called truffles. Today, they are very loyal and loving and easy to train, making them an excellent choice for a family pet. 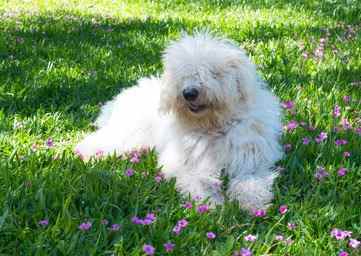 Also known as the Kashmiri Sheepdog, the Himalayan Sheepdog or the Kashmiri Mastiff, this old breed is a working and herding dog. They are found in the Pir Panjal mountain range of the Kashmir Himalayas, where it has been bred by the Gujjar nomadic tribes as a livestock guardian dog and settlement protector. Peculiar for being vegetarian, these dogs do not eat meat but are fed milk and bread made of maize. The rationale behind this diet was to keep these dogs from attacking the sheep they are guarding. 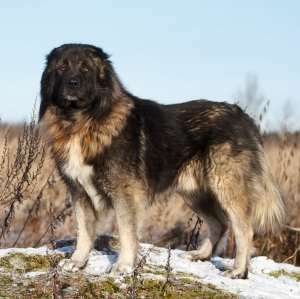 Also known as the Russian Shepherd in Europe, Russian Bear Dog or the Caucasian Mountain Dog in America, these are one of the oldest and largest of the Mastiff type dogs. These dogs are not for the faint of heart. Only highly experienced dominant type owners should even consider this breed. They are big, aggressive, and territorial. They can be loyal to their family and will protective. Check out this video: This is one Strong Dog. 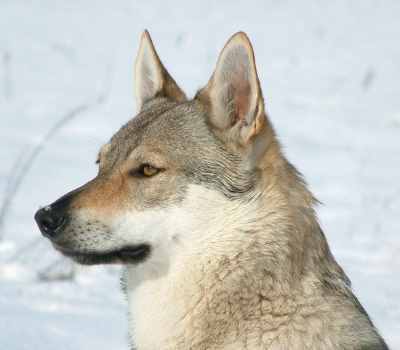 Dogs and wolves are capable of breeding and conceiving viable offspring, but this breed was the result of a planned experiment that was done in 1955 in Czechoslovakia (now the Czech Republic). They were looking to create an attack dog for military operations that would have the trainability of the German Shepherd but the physical build, strength, and stamina of the Wolf. They used a working line of German Shepherd Dogs and Carpathian wolves. These dogs were later used for search and rescue and now compete in agility, tracking, herding, obedience, and drafting. Dog you have some unique dog breeds to add to this page? We’re always on the look out for something new and different. Add your breed below. Don’t forget to upload a few photos. If it is not a “real” breed, please let people know but if the breed is currently under development, that is fine.